What makes Green Base XR unique. There is much more to Green Base XR than what meets the eye. All the components in Green Base XR are carefully chosen and work synergistically together to keep your substrate fertile longer and your plants healthier with minimal maintenance. 1. Advanced extended release, polymer-controlled nutrient granules The heart of Green Base XR consists of polymer-controlled, nutrient granules which release macronutrients and trace elements at a consistent and controlled rate. The granules also contain humic and fulvic acids to help stabilize nutrients and enhance absorption by plants. The advanced polymer technology has been designed and tested to provide stable nutrient release rates underwater, thus avoiding large spikes leading to algae breaks and unsafe levels for inhabitants. 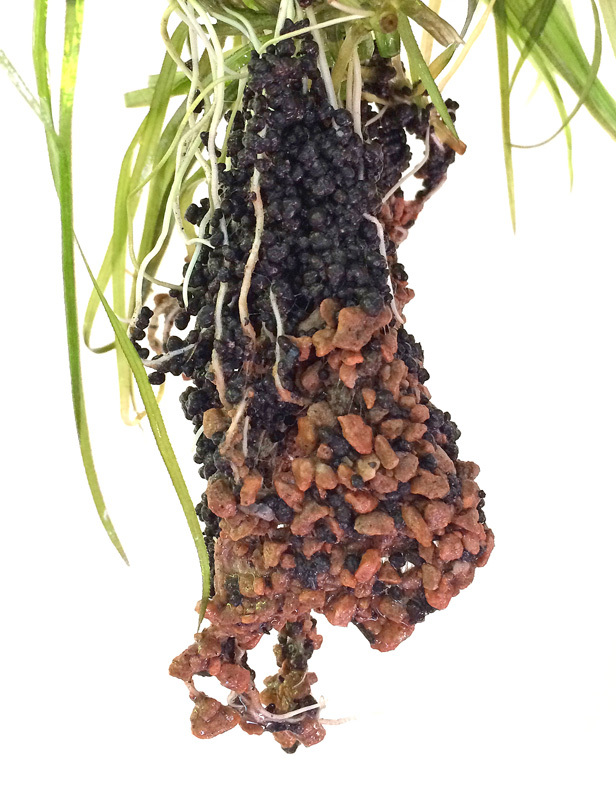 Most importantly, the technology makes possible for year-long active nutrient release. Thus, keeping your substrate fertile significantly longer than other methods. The result is vibrant plant growth with less maintenance. 3. High affinity, special-type activated carbon Not all activated carbon are the same. The type of raw material, the carbonization process, as well as the activation method all affect the purity, pore size, degree of affinity, as well as the type of molecules adsorbed. Unlike less expensive activated carbon, Green Base XR uses high-grade, steam-activated carbon and thus ensures that no harmful activation chemical residues are present. Moreover, we have selected the type that shows the highest affinity for dissolved humic and fulvic acids as well as ammonia. This thus acts as a secondary reservoir that locks in nutrients and slowly releasing them over time while keeping your aquarium water clean and clear. 4. Biobacter Green Base XR contains essential bacteria to help jump-start the cycling process as well as prevent excessive spikes in ammonia level in newly setup aquariums. The microbes also help breakdown organic compounds into water-soluble nutrients that can be immediately used by plants or adsorbed and stored in activated carbon and montmorillonite granules for long term use. Directions: 1. Open bag and spread evenly onto bottom of aquarium. Do not wash or rinse before use. 2. Cover base layer completely with at least 1 inch (2.5 cm) of fine gravel or soil substrate 3. Carefully add water, taking care not to disturb the substrate layer.